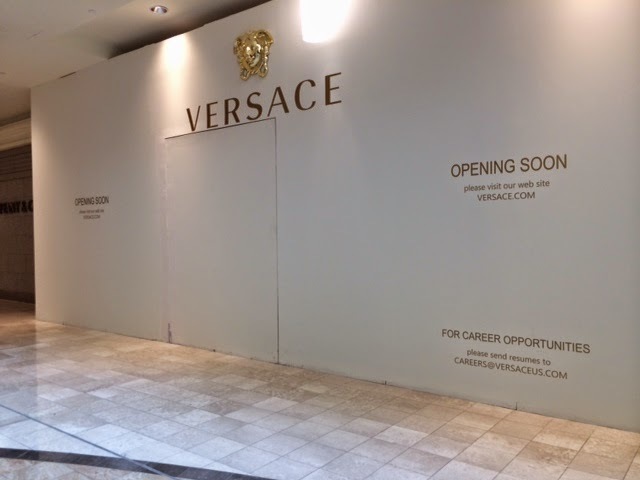 Versace will soon move to a new space at Phipps Plaza. The fashion house is currently located in a 1,989 square foot space near Saks Fifth Avenue on the mall's main level. 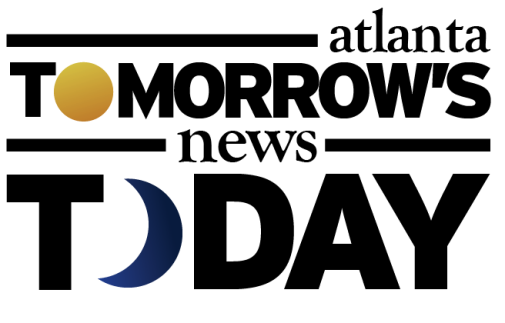 The new location will be slightly larger at nearly 2,300 square feet. The new space, also on the main level, is closer to Nordstrom and was for many years the Juicy Couture store. Kate Spade & Company (fka Fifth & Pacific, and before that, Liz Claiborne) sold Juicy Couture in late 2013. Last year all remaining traditional Juicy Couture retail stores closed. 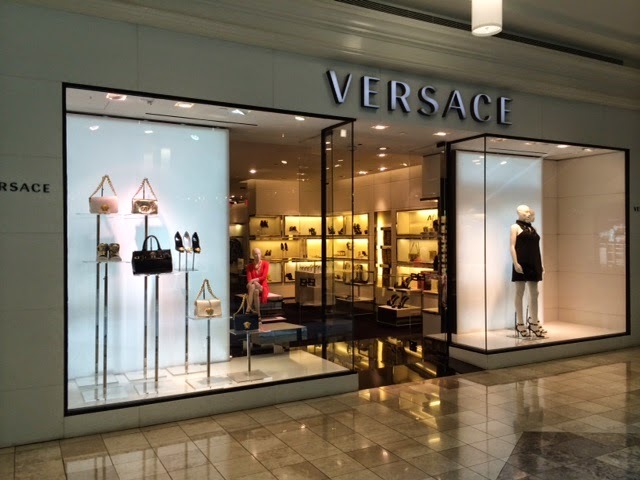 Versace previously reduced the size of their Phipps Plaza location in 2009, and in the process heavily renovated their current space, giving it a far more modern look and feel. A sales associate at Versace indicated the new store will not carry any "new" merchandise or product lines, just an expanded variety of existing merchandise. The new Versace should open by late summer / early fall. So, do you think lease rates are less on the Nordstrom’s wing as opposed to the Saks wing? I’m glad there’re not leaving the mall, but it seems strange that they would make this move for a minimal increase in space. I’ve spoken to some employees at Phipps who feel Lego Land has hurt the overall perception of the mall and reduced foot traffic because of the limited food court options. I’ve always enjoyed shopping at Phipps and hope the new retail sites going up around town don’t siphon off too many of the exclusive retailers. So, how is Phipps really doing? Lego Land is an eyesore and with Belk makes that part of the mall look "cheap" but I'm not sure people are refusing to shop at the mall because of it or a lack of food court, despite that being a minor annoyance. Lego Land was originally supposed to go in Atlantic Station, where IMO it's a better fit. Yes, I understand that someone going to buy a pair of Gucci loafers probably is not dissuaded by Lego Land. However, the lunch time crowd that once may have went to the Phipps food court and maybe stopped in somewhere like Nordstrom’s is most likely now at Lenox. While Belk’s doesn’t have the cachet that Parisians had it’s better than an empty store. I think someone like Von Maur would be a better fit, but with a location at perimeter it’s probably not likely to happen. I think this has more to do with the renovation that is happening. It is my understanding that Phipps will require those who back up to Peachtree to have an exterior, street side entrance. Not everyone wants to have to manage 2 entrances.  With that said...this new location will be highly visible from the main entrance/valet area as soon as you walk in. Lego Land has brought a large amount of foot traffic to the mall...just not sure they are venturing beyond the attraction. In my humble opinion, the design of that lego Land space is a debacle and Simon properties should be ashamed of themselves. Ok, not wanting to manage multiple entrances does make sense. While I understand the attraction of outside entrances from a design standpoint it does seem to create more of a security risk. Whether its old school shoplifters or smash and grab type robberies it seems outside entrances increase the risk. However, it is good to see Simon taking steps to keep Phipps competitive and improve the shopping experience. Versace id dead, so is Barzini, Tataglia, Moe Green, the Rosato Brothers... all the heads of the five New York families.